PHOTO I D WILL BE REQUESTED IF YOU LOOK UNDER 21 AND A CLIENT FORM MUST BE COMPLETED PRIOR TO USING OUR EQUIPMENT. PLEASE DO NOT ATTEMPT TO USE OUR SUNBED EQUIPMENT IF YOU ARE NOT 18, ITS LAW FOR A REASON. THEY ALSO EXTEND THE LIFE OF YOUR TAN AND HELP MOISTURISE THE SKIN. WE ONLY USE THE BEST COSMEDICO PLUS TUBES IN ALL OUR EQUIPMENT WHICH OFFER A SUPERIOR TAN. FULL RETUBE SERVICE OFFERED ON COMMERCIAL AND DOMESTIC SUNBEDS AT VERY COMPETATIVE RATES EMAIL FOR QUOTE. PLEASE NOTE ALL SUNBEDS ARE USED AT YOUR OWN RISK, ITS YOUR PERSONAL CHOICE TO USE UV EQUIPMENT. 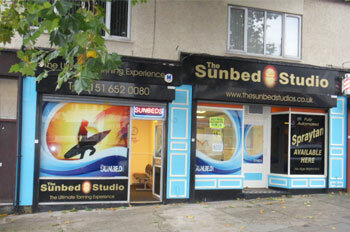 THE COMPANY ACCEPTS NO LIABILITY FOR ANY MEDICAL CONDITION RELATING TO THE USE OF SUNBED EQUIPMENT.